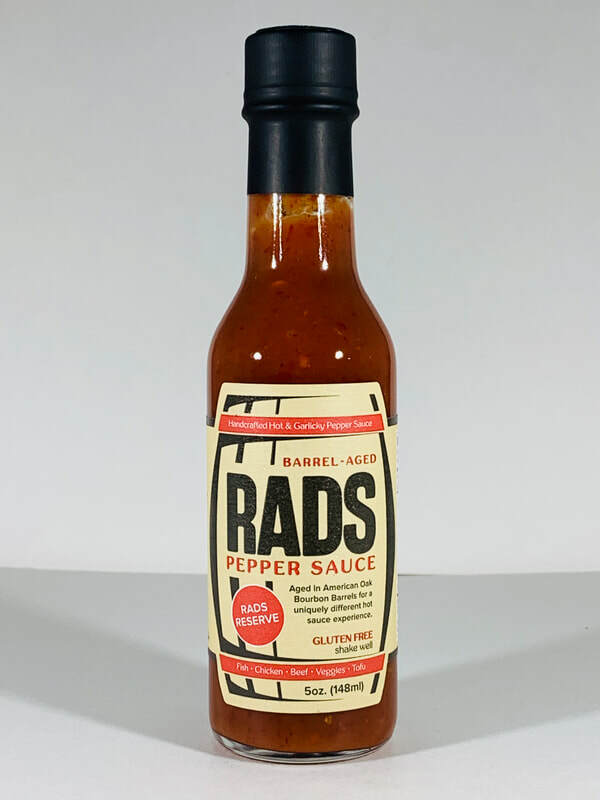 RADS RESERVE from RADS PEPPER SAUCE.. The flavor of the aged pepper mash come to the front as you taste this sauce. 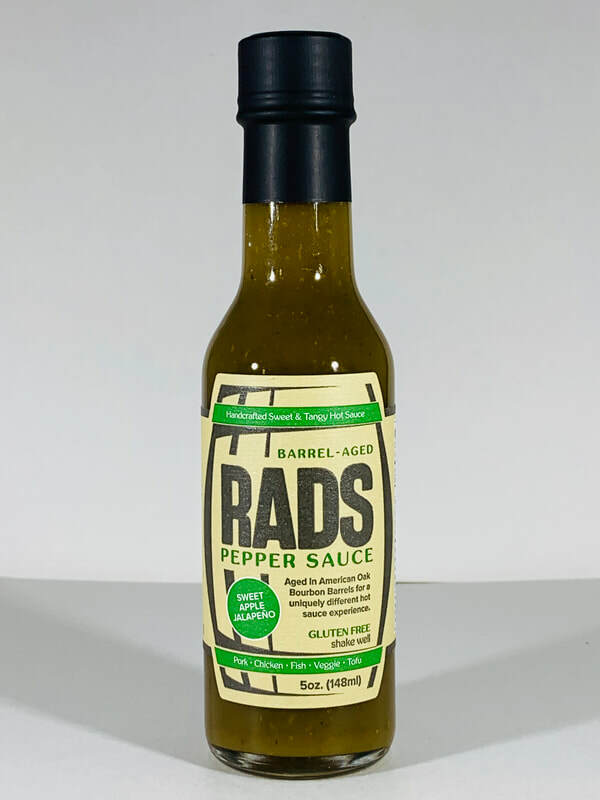 Rads ages all their pepper mash for five years in American White Oak barrels. The flavor of the aging and the oak comes through in every drop to give this sauce a very unique fermented and delicious taste. The addition of the garlic, salt and the use of citric acid instead of vinegar make this sauce come alive with flavor. The more I use this sauce the better I like it. Eggs, pizza, tacos, shrimp, chicken, pork and so so much more. 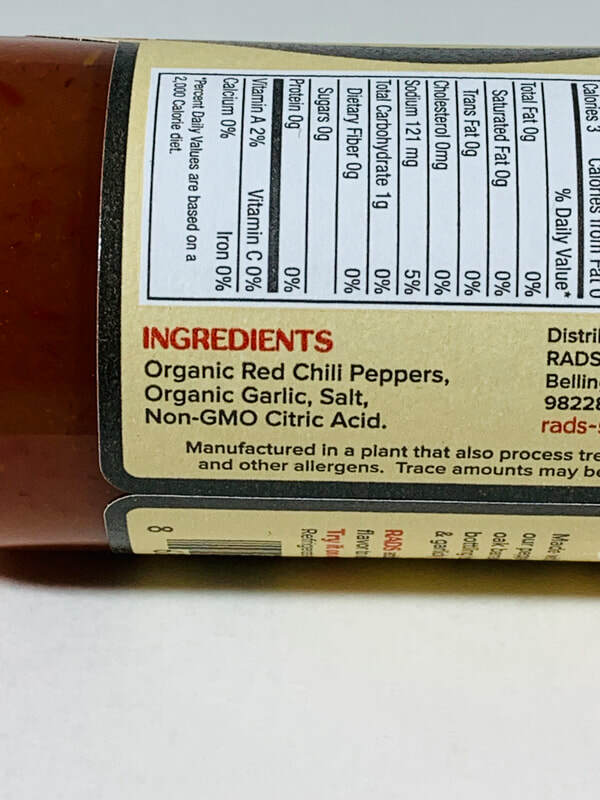 Keep this sauce right on your table, or use it as a marinade on steak, chicken, fish and even add it to your favorite BBQ sauce. SWEET APPLE JALAPEÑO from RADS PEPPER SAUCE.. Once again RADS starts by aging their sauce for five years in American Oak Barrels. This is also a very simple ingredients sauce. (The kinds I seem to like the best) Because there isn't a lot of ingredients, the flavor of the Jalapeños come shining through with the addition of Apple cider vinegar, onions, Apple puree, garlic and salt. 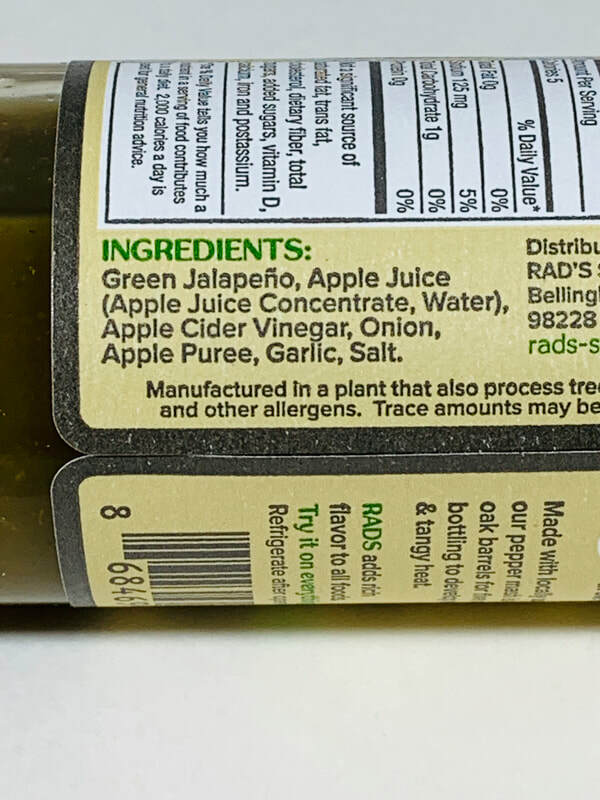 There is a very slight sweetness coming from the flavor of the apple puree that adds a unique addition to the aged flavor of the Jalapeños. Pour this on your fish or shrimp tacos, chicken , eggs, pizza and so much more.